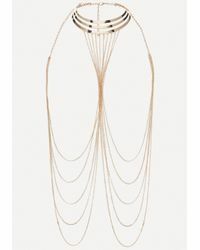 We check over 450 stores daily and we last saw this product for $57 at Bebe. 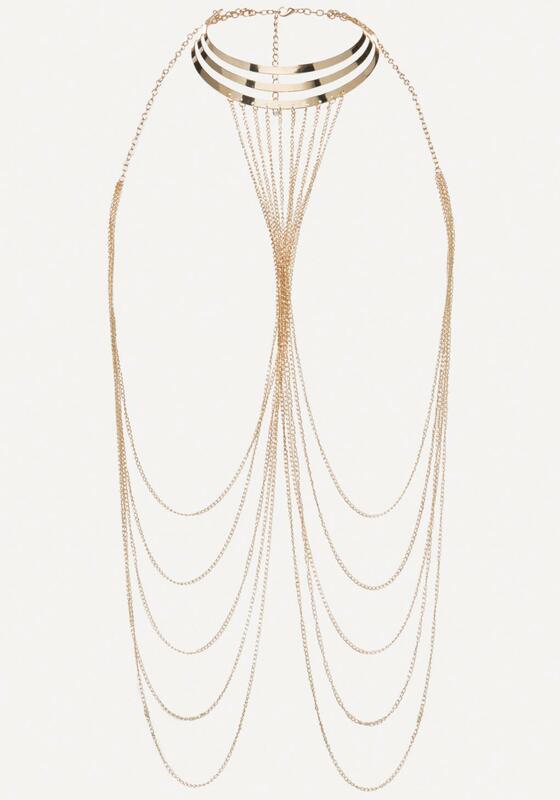 Stunning collar necklace in a triple-band design suspending crisscross chains that drape seductively over the body. 100% Metal. Lobster clasp closure.